Wow! Just wow! When I finished reading this, I had to step away and just let this story percolate in my head! What a dark and twisty love story this is. What would you do for someone you love? How far would you go to protect someone? 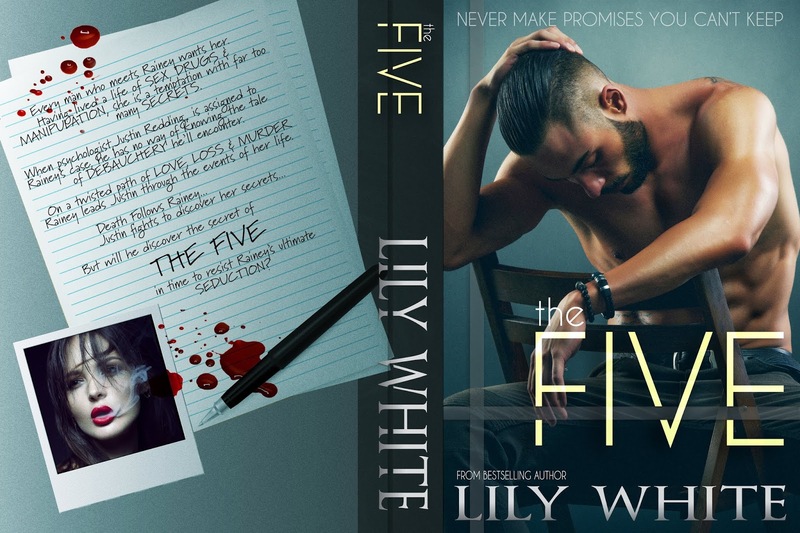 The Five is the story that will answer those questions with a vengeance. Rainey is a victim of her environment and circumstances. She has brutalized and terrorized all of her life. But what kind of person does this make her? She becomes what she must. She becomes who she needs to be. She is an enigma…. This story is going to take you down a rabbit hole that you will never want to leave. The ending made me gasp, like for real! Ms. White has magic in her words. She creates a world in this story that is brutal and beautifully flawed in its own way. This is a love story, with a helluva twist. Be sure you read this story slowly, you have to truly dive into this. You have to savor the words, even the passages that are going to make you want to turn away. I have yet to read something from Lily White that I haven’t devoured and loved. The Five is no exception! This is going to be in the running for my “Best of 2019 Reads”!